Jesus performed many miracles in the Bible. Afterward, he often commanded the people he helped to be silent, to not tell anyone about what happened. But people couldn’t keep quiet about the amazing things Jesus did for them. They wanted — perhaps, needed — to tell people about this incredible Jesus, who cured their blindness, who exorcised their demons, who fed the masses, who taught them wisdom, who brought them closer to God. People spread the good news because it was just that — good news. It was impossible not to share. Jesus’ gospel made tangible, visible, actual improvements to their lives. How could people keep that to themselves? The nonprofit where I work, Kibo Group International, believes that the gospel today should have the same effect on people. If it’s not so good that people can’t help but share it, then it might not be the gospel of Jesus. We spread the gospel in the rural villages of the Busoga region of Uganda by trying to mimic Jesus. We don’t just talk about Jesus, but we also try to help people improve their lives and their communities in physical ways. We don’t just talk about the good news. We try to help people experience it. We don’t tell people to teach their neighbors and relatives about the things they’ve learned and done through our programs. But people often spread the lessons we teach to their neighboring villages anyway. 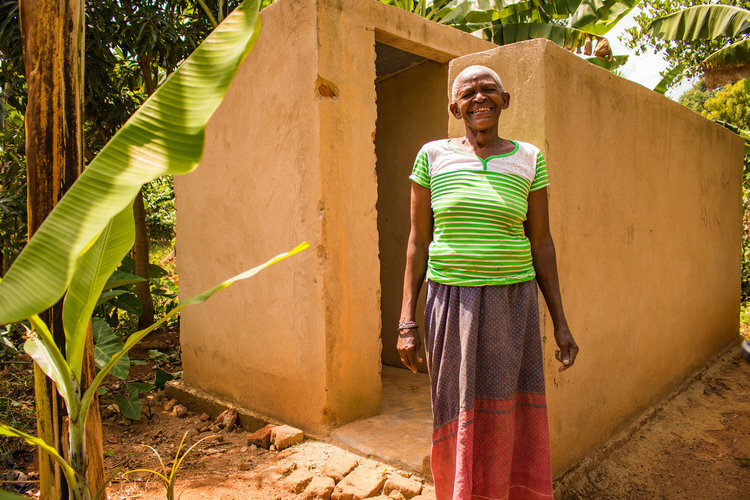 Latrines, dish racks, showers, and other sanitation and hygiene facilities begin to pop up in villages we have not yet visited. Tree saplings being to appear in the villages nearby. My program, Healthy and Safe Kitchens, teaches communities how to build stoves. It improves lives so much that we don’t know how many Kibo stoves are out there, because women keep building them for their friends, neighbors, and relatives, long after Kibo leaves the village. When Jesus said, “Go and preach the good news” (Mark 16:15), he didn’t mean just with our lips, but with our hands, too. When Jesus said, “Go and preach the good news,” he didn’t mean wherever it’s convenient, but wherever it’s needed. And we will know we are preaching the good news, because it will spread on it’s own. Through work and love, so many people turn to Christ because they’ve seen the love with which we treat these communities. Their lives improve so much that they can’t help but ask, “Why are you doing this?” And the answer — Jesus — is as irresistible now as it was during his ministry.